Home → SEO News & Tips → Do Meta Descriptions Affect SEO? A common misconception in the SEO world is that meta descriptions are not important to SEO. This is not the case at all. Here’s why. A meta description’s purpose in life is to describe a page in 160 characters or less. We want all descriptions to accurately describe the page people are potentially clicking on. 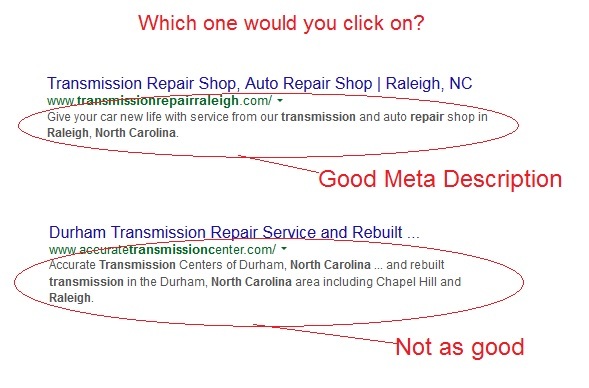 A clean meta description tells people what the page is about, improving click through rates (CTR). Below is an image showing 2 different search results. One result has what I would call a “good meta description”. The second one is not so good. See the difference? Which one would you click on? What good is getting to the front page if people are going to click onto a competitor’s site? Is editing this meta description not a part of optimizing your website for search? It has long been assumed by some of us and recently proven that CTR directly affects SEO. In other words, a better meta description means more people clicking through to your site leading to even more increased rankings. How did this SEO myth get started? 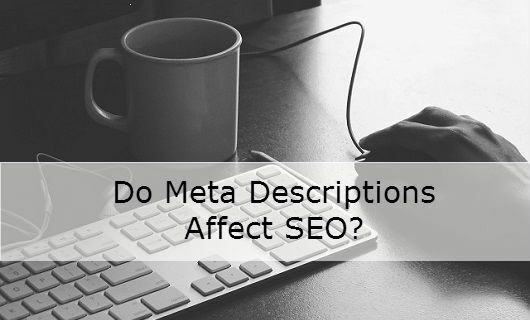 In the late 1990’s and early 2000’s using keywords in the meta description helped pages rank. Search engines quit using these tags as a direct ranking factor a long time ago. Keep your copy easy to read. The point of the description is to accurately describe the page and also induce people to click through to the page. Misleading people will lead to a poor user experience which will increase bounce rates or lead to other issues one way or another.